Isa Gusau, Maiduguri: One thousand persons have so far been deployed by the Borno State Environmental Protection Agency, BOSEPA for the cleaning and fumigation of major roads and streets in Bama town in order to increase access for workers involved in reconstruction works. Governor Kashim Shettima who has so far spent four days in Bama following his temporary relocation, ordered the clearing and fumigation exercise as part of ground preparations for return of IDPS after reconstruction works. Conducting journalists round different streets in Bama town, the Sole Administrator of BOSEPA, Nassir Surundi said 17 streets have so far been cleared of giant weeds that grew up since residents fled Bama town in the wake of attacks by Boko Haram insurgents in September, 2014. He also said fumigation and other sanitation exercises were being carried out against snakes and other reptiles which turned residential houses into their homes due to absence of human occupation. “We hope to clear 17 additional streets by tomorrow (Sunday) and I promise all of you that within the next two weeks Bama will wear a new look different from the bush and the debris you see around. Without us clearing the roads, workers wouldn’t have access to reconstruction sites while the town will continue to look like a war zone, we are committed to Governor Kashim Shettima’s mission of changing Bama from insurgency has turned into” Surundi said. He explained that the Agency has been well funded by Governor Shettima making it equipped with specialized trucks, large stock of chemicals while funds are regularly released to employ adhoc staff where there is need for more workers for the purpose of clearing environments. “We are bringing more hands to Bama” he noted. 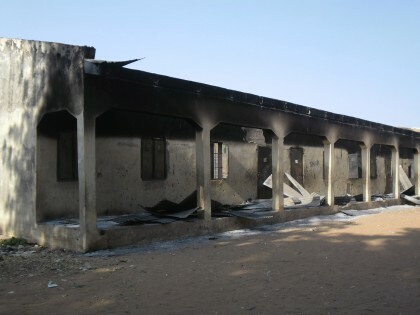 The Sole Administrator recalled that the Borno State Environmental Protection Agency had undertaken post conflict fumigation and clearing in Dikwa, Magumeri, Konduga, some parts of Maiduguri Metropolitan Council and will be ready to deploy men to other parts of the State should reconstruction needs arise. The administrator said his agency is working with security agencies with specialty in clearing mines. Our correspondent reports that a six-member delegation from the Danish Refugee Council had offered to support the Borno State Government with expertise in clearing of mines in Bama town and on farmlands in support of Governor Shettima’s reconstruction works. The delegation met Governor Shettima in Bama on Thursday, one day after the Governor’s temporary relocation. Governor Shettima moved his office to Bama on Wednesday to personally supervise reconstruction works with a view to fast tracking progress while deployment Government machinery. 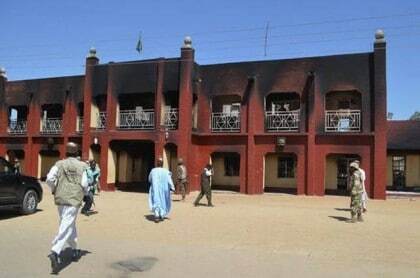 Bama is the second largest town in Borno State which is next to Maiduguri and it is the worst hit by the Boko Haram attacks with more than 80 percent of public and private buildings including hospitals, schools, water and electricity installations all destroyed while it has the highest number of internally displaced persons. Shettima said he chose to confront the biggest challenge by relocating to Bama with the hope of making rebuilding task easier for the State.